Spare, if you will, a moment’s pity for Speaker of the House Nancy Pelosi (D-CA) and Senate Minority Leader Chuck Schumer (D-NY). They are not exactly enjoying the government shutdown as they might have hoped. 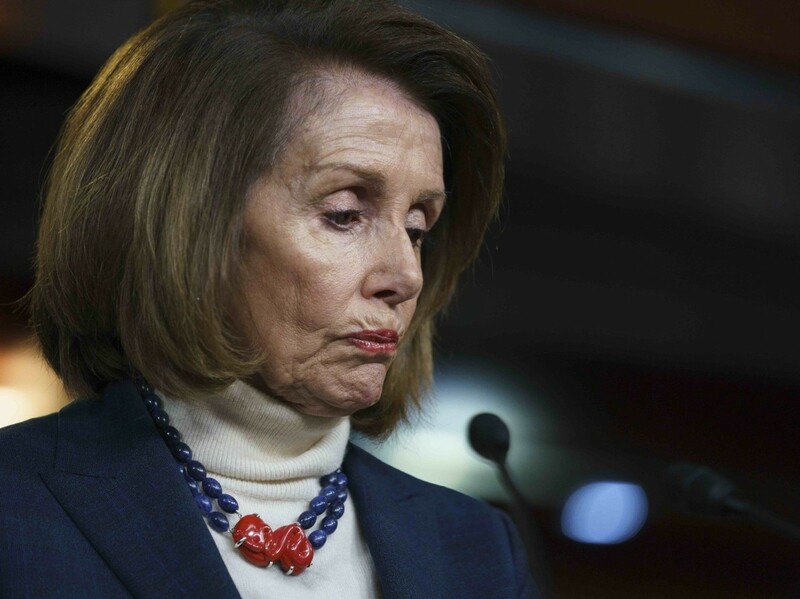 Pelosi had already packed her bags and boarded the Air Force bus Thursday, along with a sizable delegation of House Democratic leaders, for her overseas junket. She and her comrades were, no doubt, looking forward to touring NATO’s billion-dollar-plus new headquarters in Brussels; posing for selfies on camelback by the pyramids in Egypt; grinning for photo-ops with the troops in Afghanistan. Then the order came from President Donald Trump to prohibit her use of government aircraft. Fly commercial, he suggested. There is a government shutdown going on, after all. And, as Trump noted, 800,000 federal workers will continue to go unpaid — unless Democrats stay in town to negotiate. The bus went ’round the block and back. Pelosi’s shock must have been quite something to observe. She is not used to being treated like this, you see. She apparently expected she could cancel (ahem, “postpone”) the State of the Union address due to the shutdown — and then disappear abroad. Trump’s response — blocking Pelosi’s use of the aircraft — was gutsy. It was a “drain the swamp” moment. In a statement, Pelosi’s spokesman protested that the purpose of the trip had been “to affirm the United States’ ironclad commitment to the NATO alliance,” something the president had already done earlier that day. Her real goal was to conduct an alternative foreign policy — as she did after being elected Speaker in 2007, when she paid a friendly visit to Syrian butcher Bashar al-Assad. Pelosi’s flack complained that President Trump himself had flown to visit the troops in Iraq early in the shutdown.